I have talked about biologists who want to be philosophers instead of the philosophers. But as a matter of fact, you could also talk about a huge amount of computer programmers, who want to be philosophers instead of the philosophers, and are playing the role as spiritual teachers, as for example Gregg Braden (see my entry on Gregg Braden). How on Earth has this happened? This is because the movie The Matrix is beginning to achieve more and more influence within New Age (see my pop culture file on The Matrix). The Matrix is a 1999 science fiction action film written and directed by The Wachowskis. It depicts a dystopian future in which reality as perceived by most humans is actually a simulated reality called "the Matrix", created by sentient machines to subdue the human population, while their bodies' heat and electrical activity are used as an energy source. Computer programmer Neo learns this truth and is drawn into a rebellion against the machines, which involves other people who have been freed from the "dream world." This film is also central in my own concept of The Matrix Conspiracy. So, what´s the precise difference between my concept of the Matrix Conspiracy and New Agers´ concept of the Matrix? 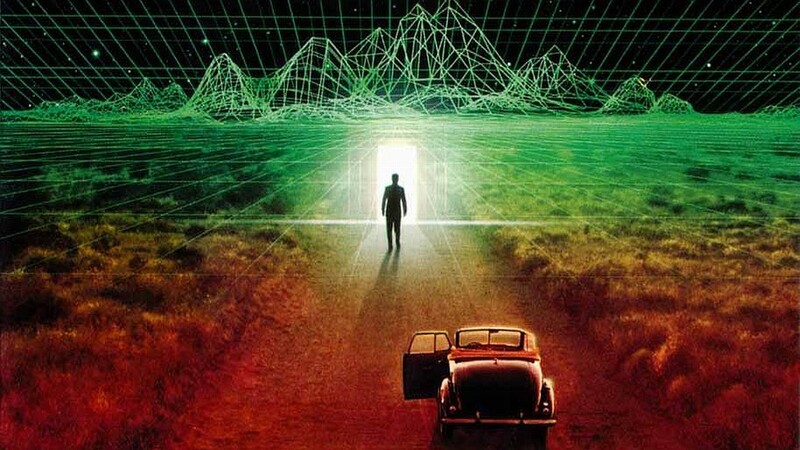 New Agers believe that the Matrix is a living organism, or simply reality itself. But one should remember that they are advocates of subjectivism and relativism, or otherwise said: they are philosophical idealists. In philosophy, idealism is the group of philosophies which assert that reality, or reality as we can know it, is fundamentally mental, mentally constructed, or otherwise immaterial. Epistemologically, idealism manifests as a skepticism about the possibility of knowing any mind-independent thing. In a sociological sense, idealism emphasizes how human ideas—especially beliefs and values—shape society. As an ontological doctrine, idealism goes further, asserting that all entities are composed of mind or spirit. Idealism thus rejects physicalist and dualist theories that fail to ascribe priority to the mind. This is the reason why they can believe that the whole of reality, including the physical reality, is a mental construct. And from that it is also easy to infer to the idea that we could live in a computer simulation. You can see this idea discussed in this article in Scientific American, by Clara Moskowitz, April 7, 2016: Are We Living in a Computer Simulation? A popular argument for the simulation hypothesis came from University of Oxford philosopher Nick Bostrum in 2003, when he suggested that members of an advanced civilization with enormous computing power might decide to run simulations of their ancestors. They would probably have the ability to run many, many such simulations, to the point where the vast majority of minds would actually be artificial ones within such simulations, rather than the original ancestral minds. So simple statistics suggest it is much more likely that we are among the simulated minds. But the proposal of idealism is also the reason why they think you can´t get out of the Matrix (that is: from illusion to reality), since the Matrix is reality itself: a mental construct, or a computer simulation. What you can do – and that´s their proposed secret [sic] – is to realize that you can program this reality completely alone with the power of mind, and according to your own wishes and desires. The illusion is here that you have lived according to what others have programmed you to believe. The latter is the only idea I share with them. My concept of The Matrix Conspiracy is that the Matrix is an ideology. And I´m not supporting idealism, but realism. The paradox of New Age´s misunderstanding of quantum physics (which they see as central support for subjectivism and idealism) is that quantum physics actually proves the invalidity of both materialism and idealism. I have shown how in my article Quantum Mechanics and the Philosophy of Niels Bohr. Here I´m presenting a realism based on dualism, though not an ontological dualism, but an epistemological, or gnoseological dualism, which is necessary when we are talking of the ordinary mind, the subject. When we are talking about the enlightened consciousness I support a so-called metaphysical naturalism. It´s puzzling that they don´t seem to have grasped the meaning of the film, only Morpheus´s introducing claim that the Matrix is everywhere, in the bones, around us, etc. They speak Agent Smith´s speak, and not the rebels. They speak about finding ways of getting on in this Matrix, rather than being interested in finding ways of discovering the truth; or rather: what they see as the truth is that they can control the Matrix entirely through the mind. Simulated reality is the hypothesis that reality could be simulated — for example by computer simulation — to a degree indistinguishable from "true" reality. It could contain conscious minds which may or may not be fully aware that they are living inside a simulation. This is quite different from the current, technologically achievable concept of virtual reality. Virtual reality is easily distinguished from the experience of actuality; participants are never in doubt about the nature of what they experience. Simulated reality, by contrast, would be hard or impossible to separate from "true" reality. There has been much debate over this topic, ranging from philosophical discourse to practical applications in computing. 1. Human civilization is unlikely to reach a level of technological maturity capable of producing simulated realities or such simulations are physically impossible to construct. 2. A comparable civilization reaching aforementioned technological status will likely not produce a significant number of simulated realities (one that might push the probable existence of digital entities beyond the probable number of "real" entities in a Universe) for any of a number of reasons, such as, diversion of computational processing power for other tasks, ethical considerations of holding entities captive in simulated realities, etc. 3. Any entities with our general set of experiences are almost certainly living in a simulation. In greater detail, Bostrom is attempting to prove a tripartite disjunction, that at least one of these propositions must be true. His argument rests on the premise that given sufficiently advanced technology, it is possible to represent the populated surface of the Earth without recourse to digital physics; that the qualia experienced by a simulated consciousness are comparable or equivalent to those of a naturally occurring human consciousness; and that one or more levels of simulation within simulations would be feasible given only a modest expenditure of computational resources in the real world. If one assumes first that humans will not be destroyed nor destroy themselves before developing such a technology, and, next, that human descendants will have no overriding legal restrictions or moral compunctions against simulating biospheres or their own historical biosphere, then it would be unreasonable to count ourselves among the small minority of genuine organisms who, sooner or later, will be vastly outnumbered by artificial simulations. Epistemologically, it is not impossible to tell whether we are living in a simulation. For example, Bostrom suggests that a window could pop up saying: "You are living in a simulation. Click here for more information." However, imperfections in a simulated environment might be difficult for the native inhabitants to identify and for purposes of authenticity, even the simulated memory of a blatant revelation might be purged programmatically. Nonetheless, should any evidence come to light, either for or against the skeptical hypothesis, it would radically alter the aforementioned probability. Simulated reality is a common theme in science fiction (click here to see a list). It is predated by the concept "life is a dream". It should not be confused with the theme of virtual reality. But, a new article in Cosmos Magazine 02 October 2017 titled Physicists find we’re not living in a computer simulation suggests that some physical phenomena may be impossible to simulate. The sci-fi trope might now be put to rest after scientists find the suggestion that reality is computer generated is in principle impossible, writes Andrew Masterson. Just in case it’s been weighing on your mind, you can relax now. A team of theoretical physicists from Oxford University in the UK has shown that life and reality cannot be merely simulations generated by a massive extraterrestrial computer. The finding – an unexpectedly definite one – arose from the discovery of a novel link between gravitational anomalies and computational complexity. In a paper published in the journal Science Advances, Zohar Ringel and Dmitry Kovrizhi show that constructing a computer simulation of a particular quantum phenomenon that occurs in metals is impossible – not just practically, but in principle. The pair initially set out to see whether it was possible to use a technique known as quantum Monte Carlo to study the quantum Hall effect – a phenomenon in physical systems that exhibit strong magnetic fields and very low temperatures, and manifests as an energy current that runs across the temperature gradient. The phenomenon indicates an anomaly in the underlying space-time geometry. Quantum Monte Carlo methods use random sampling to analyse many-body quantum problems where the equations involved cannot be solved directly. Ringel and Kovrizhi showed that attempts to use quantum Monte Carlo to model systems exhibiting anomalies, such as the quantum Hall effect, will always become unworkable. They discovered that the complexity of the simulation increased exponentially with the number of particles being simulated. If the complexity grew linearly with the number of particles being simulated, then doubling the number of particles would mean doubling the computing power required. If, however, the complexity grows on an exponential scale – where the amount of computing power has to double every time a single particle is added – then the task quickly becomes impossible. The researchers note that there are a number of other known quantum interactions for which predictive algorithms have not yet been found. They suggest that for some of these they may in fact never be found. And given the physically impossible amount of computer grunt needed to store information for just one member of this subset, fears that we might be unknowingly living in some vast version of The Matrix can now be put to rest. Stories that suggest perceived reality is an artefact of a cosmic computer simulation abandon science and enter the domain of philosophy. And within philosophy it´s an old story. In my view there isn´t anything new in Bostrum´s argumentation at all. He is just taking up older ideas and altering them at bit. The whole argument stands and falls with the question: Is it possible to simulate reality? Answering yes or no to this question depends on which metaphysical theory you are in to. Most idealists answer yes, and, as we shall see, so do some materialists, though it is my claim that materialists in that case must take upon them an idealist worldview which is the direct opposite of their own materialist worldview, and who therefore end up in a self-contradiction. The reason why materialists like the idea is probably that computers sounds very materialistic. Many people who argue for the validity of the simulation theory are reductionists; that is: they make their claim based on a believe that they are speaking scientifically, while they in fact are speaking philosophy. These can be invalided on the background of reductionism itself (see my articles The Pseudoscience of New Age and Reductionism, and The Pseudoscience of Reductionism and the Problem of Mind). In the following I will give a philosophical argumentation against the simulation theory. We almost all have an experience of, how our senses and thoughts can deceive us. Therefore the question about, whether life could be a dream or an illusion, also always has occupied Man. The spiritual practice can be said to consist partially of meditation, partially of Dream Yoga. Meditation and Dream Yoga are two sides of the same thing. If you nevertheless should try to discriminate, then you about meditation can say, that the three aspects of meditation are relaxfullness, awareness and heartfullness. These three aspects are trained through supporting exercises such as relaxation, Hara practice, as well as Tonglen practice (see the supporting exercises in my book Meditation as an Art of Life – a basic reader ). In Dream Yoga you can say, that the day practice of Dream Yoga consists - besides the continuous exercises of meditation - in understanding the nature of thought distortions; in seeing their illusory nature, in seeing how they create your reality; that is: to realize, that a lot of your waking life also has character of a dream (the night practice of Dream Yoga is about writing your dreams down, and practising in conditions of lucidity, as well as astrality, if such states should occur). – See my book A Dictionary of Thought Distortions, and my article What is Dream Yoga? A lot of philosophers within European philosophy have also claimed, that life is a dream, or that the whole world is our own construction, created either by sensation or thinking. The best known examples are probably George Berkeley and René Descartes. It is from these two philosophers the simulation theory has its origin. In European philosophy there is namely a strong tradition for only reckoning with two sources of knowledge: sensation and thinking. Berkeley reckoned with sensation, whilst Descartes reckoned with thinking. Berkeley is famous for the sentence Esse est percipi, which means that reality consists in being perceived (to be is to be experienced). The absurdity in Berkeley´s assertion is swiftly seen: If a thing, or a human being for that matter, is not being perceived by the senses, then it does not exist. In accordance with Berkeley there therefore does not exist any sense-independent world. He ends in the so-called solipsism, and so do all supporters of the simulation theory. That we will return to. Descartes was also very dubious concerning how much we can trust our senses. Therefore also he took up the question Is life a dream? However his intention with this was in his Meditations to develop a valid epistemological argument. In his Meditations Descartes presents the problem approximately like this: I frequently dream during the night, and while I dream, I am convinced, that what I dream is real. But then it always happens, that I wake up and realize, that everything I dreamt was not real, but only an illusion. And then is it I think: is it possible, that what I now, while I am awake, believe is real, also is something, which only is being dreamt by me right now? If that not is the case, how shall I then determinate it? In modern discussions about the reliability of our knowledge you often meet a variation of Descartes´ argument of the evil demon. The argument is: some day surgery will have reached so far, that you will be able to operate the brain out of a human being and keep it alive by putting it in a jar with some nutrient substratum. At that time computer research perhaps will have reached so far, that you will be able to connect a computer with such a brain and feed it with all possible data – that is: supply us with an experiential ”virtual reality”, so that we think that we have a body, that we have a life and walk around in the world believing, that we can perceive our surroundings, whilst we in reality only is a brain laying in a jar. It is especially this thesis the movie The Matrix is based on. And it is fairly easy to see where it is Bostrum has his arguments from. Bostrum has in fact contributed with an article to the Popular Culture and Philosophy series on the Matrix: More Matrix and Philosophy – Revolutions and Reloaded Decoded. His article is called Why Make a Matrix? And Why You Might Be In One. But the simulation theory faces precisely the same problem as the Dream Hypothesis and the Brain-In-Jar Hypothesis. A lot of so-called reductionists believe, that the Brain-In-Jar Hypothesis is possible. There are computer scientists, who believe, that you can understand consciousness as ”soft-ware” and the brain as a ”hard disc”, and that you in a very few years will be able to decode a human being for the whole of its content of consciousness, immediately before it dies, and therewith ensure its soul an eternal life – admittedly on a discette, but what the hell, it is after all certainly always better than to pass into nothingness, and the discette will after all could be played again and again. This is probably the most extreme “physical” example of the top-heavy Indo-European symbolism of a ladder, which humans have to climb in order to reach knowledge. The knowledge of the heart and the body is completely removed. Only what is going on in the head is considered valid (in my blog post The Conspiracy of the Third Eye I have demonstrated that there in fact might exist a scary demonical thought behind this). It is also a hypothesis which materialists can acknowledge, though it in fact is based on idealism. The Brain-in-jar Hypothesis says it in this way: existence, that which I, Morten Tolboll, calls reality, is an illusion, because the fact of the matter is this, that I haven´t got any body or any sense organs, but only are my brain, which is in a jar with a nutrient substratum, and which is connected to a computer, which provides me with experiences. The problem is exactly the same as in Descartes´ Dream Hypothesis: existence, that which I, Morten Tolboll, calls reality, is a period, which after its end (that is to say: when I wake up from it) will be realized as illusory, in the same way as I realize a dream as illusory, when I wake up from it. That is to say: that, which I call ”reality”, is a dream, and that, which I call ”dream” (that is: the thing I am dealing with, when I am sleeping) is a dreamt dream. Both the Dream Hypothesis, the Brain-in-jar Hypothesis and the Simulation theory are important in The Matrix Conspiracy. An important pedagogy of The Matrix Conspiracy is namely subjectivism and relativism, which claim, that there doesn't exist any objective truth. Truth is something we create ourselves, either as individuals or as cultures, and since there doesn't exist any objective truth, there doesn´t exist any objective scale of truth. Everything is our own thought-construction. In the following I will show some epistemological problems, and hereafter I will go into some problems of mind which it also creates. I will show the problem in relation to the Dream Hypothesis, and you just have to replace it with the Brain-in-Jar Hypothesis or the Simulation Hypothesis. They both end in the same problems. Let us try to look at three logical problems, which the Dream Hypothesis (and therefore the Brain-In-Jar hypothesis and the simulation theory) runs into: The infinite regress, the solipsism, as well as the polarization-problem. I presuppose, that I - with the assertion that what I now call reality, is a dream - believe, that it in principle is possible, that I wake up from it and realize, that it only was a dream. In that case I shall after all find myself situated in a new reality, which relate ifself to what I now call reality, as this relate ifself to my nightly dreams. This ”new reality” you could then term ”the R-reality”. When I wake up to the R-reality, I realize, that what I until then called reality, only was a dream. But using the Dream Hypothesis (whatever argument I might have for it) I must already now conclude, that the R-reality also could be a dream, which I, if I some day wake up from it, shows ifself to be contained in a R-R-R-reality – and in this way I can keep on. If I say, that reality is a dream, and therefore ought to be called ”dreamt reality”, yes then I can not find any argument against, that it is a ”dreamt dreamt reality” or a ”dreamt dreamt dreamt reality” etc., indefinitely (this is actually how the concept of the Multiverse has been developed - the simulated multiverse exists on complex computer systems that simulate entire universes. The concept of the Multiverse is popular both in idealism and in materialism, and therefore both in New Age and in Atheism). Solipsism (of lat. Solus ipse, I alone), is the opinion, that I alone, and my states of consciousness, exist, or that I, and my states of consciousness, are the only things, which really can be realized. Everything else, for example other people´s consciousnesses and material things, which are claimed to be outside my consciousness, are problematic things. The Dream Hypothesis (and therefore the Brain-In-Jar hypothesis and the Simulation theory) can for example only be stated in first person. There are not two persons who can agree about it, because all other persons than the person, which put forward the Dream Hypothesis, ex hypothesi are dream phenomena in his dream. When I – in first person – analyzes the eventual arguments against the Dream Hypothesis, I realize, that I don´t need to take them seriously, because they ex hypothesi only are dream phenomena, which can´t be compelling. But at the same time I realize, that all my arguments for the Dream Hypothesis for the same reason nor can be considered compelling. I have ended up in a self-contradiction. Reality seems to be an Otherness, which determines and defines the world – that is: a negation-principle. Any concept, anything, is defined by its negation; that is to say: what it not is. A dream can in other words only be defined from what it not is. It is for example not reality. This logic is impossible to get around. How can you altogether assert that life, or reality, is a dream (or a simulation), unless you know what a dream (or a simulation) not is? And here I am talking about that you, and therefore every single individual, have this knowledge. You can´t explain the simulation theory in any meaningful way without that you constantly are making discriminations between simulation and reality, between subject and object, etc. To say that discrimination also just is a simulation is not a philosophical argument, but a way of explaining away this simple fact. My professor in philosophy, the late David Favrholdt, has developed the polarization-problem, with inspiration from Niels Bohr, into what he calls The Core in everyday language (see my article Quantum Mechanics and the Philosophy of Niels Bohr). The Brain-in-jar Hypothesis and the Simulation theory run into exactly the same logical problems. To the common consciousness, or the common epistemology - that is to say: sensation and thinking - life could very well be thought to be a dream. The wholeness could possible be sleeping. You could here very well imagine the validity of the above problems, but you end up in the three logical problems. It is precisely these logical anomalies, paradoxes and problems, which create Samsara´s wheel of eternal repeating up-cycles which is followed by eternal repeating down-cycles and vice versa (for example life and death, success and fiasco, joy and sorrow) – as well as the ignorance and the suffering when you are caught into this wheel, for example in the experience of nightmare and anxiety. All Jorge Luis Borges´ small stories are about these logical and philosophical problems. His stories are filled with mirrors, masks, endless series and regresses, labyrinths, doppelgängers, time, solipsisms and dreams (I have examined these logical and philosophical problems in my book A Dictionary of Thought Distortions, especially in the thought distortion I call Endless split of the thought which I will return to below. Also see my article Jorge Luis Borges). At first Chuang Tsi´s text seems to be even more radical than Descartes. But what you can say, is, that there is a radical difference between Chuang Tsi and Descartes. Descartes and Berkeley reckoned namely, as before mentioned, only with two sources of knowledge, sensation and thinking. Chuang Tsi, as well as Medieval philosophers and a lot of Catholic philosophers in the present day, however speak about revelation as a third source of knowledge. Some of our temporal existentialists speak about a type of being-cognition, which neither is due to sensation or thinking. And finally a couple of European mystics, as for example Plotin, Meister Eckhart and William Blake, have spoked about an occult cognition of God and higher powers, which reaches far beyond the areas of sensation and thinking. You could term it the wholeness-cognition. And in the East (for example Chuang Tsi) such a third cognition is well known (see my article Paranormal Phenomena Seen in Connection with Mystical Experiences). To this third form of cognition, life is not a dream, but the Good, the True and the Beautiful itself – reality. The path to this can be described as in the education novel: at home – the homeless - home. In the start, at home (if you not, through meditation and Dream Yoga, are working with the third cognition-form), the wholeness is sleeping. If you however start to work with this cognition, the education journey out in the world begins. The wholeness starts to dream. But the more realization trained, the more you realize the illusory aspect of the dream of the wholeness, and then the journey home starts. The wholeness begins to wake up, for finally, in the revelation, to be completely awake. The truth in this awakenness - and which of course also is there hidden, both when the wholeness is dreaming and sleeping - is precisely the instance which creates the logical, and insoluble problems with theories which only work with two forms of knowledge, sensation and thinking. This truth is reality, or the Otherness. Stephen Hawking is apparently also supporting the Simulation Theory. In the documentary Stephen Hawking´s Grand Design Hawking tries to explain what science can tell us about the meaning of life through physics, philosophical discussion, and Hawking's own unique scientific perception, he attempts to shed light on humanities most profound question Is There a Meaning of Life? This part of the documentary could be called "Stephen Hawking raises an interesting question about observer-created reality in the first six seconds, followed by a narrator blathering on about the Matrix. First the brain-in-jar hypothesis, hereafter the simulation theory, and claiming: this is a genuine scientific hypothesis.” One might suppose that Hawking has approved the film. The documentary ends with Descartes: we think therefore we are. The circle is closed: we´re back in black, back in philosophy, or rather: bad philosophy. Yes precisely: we think all this, it is a theory. The title is therefore good: Stephen Hawking´s Grand Design. Hawking has replaced God and philosophy with himself. Because that´s what it is. The theory of everything is something we think (see my article Stephen Hawking). Celebrity atheists also acknowledge the Simulation Hypothesis. We may be living in a world computed by superhumanity to emulate its evolutionary history. Obvious not knowing that this is an idealist idea, the direct opposite philosophical theory than their own materialism. This curiosity actually directly demonstrates my claim that atheist fundamentalism and New Age are the two opposite coins in the same Matrix Conspiracy (see my article Atheist Fundamentalism). Richard Dawkins welcomed Hawking's position and said that "Darwinism kicked God out of biology but physics remained more uncertain. Hawking is now administering the coup de grace." Best selling author Deepak Chopra in an interview with CNN said: "We have to congratulate Leonard and Stephen for finally, finally contributing to the climatic overthrow of the superstition of materialism. Because everything that we call matter comes from this domain which is invisible, which is beyond space and time. All religious experience is based on just three basic fundamental ideas...And nothing in the book invalidates any of these three ideas". This paradox is just incredible funny, and it shows precisely the paradox: Hawking´s M-theory can be used to justify just about anything. Speaking at the string theory conference at University of Southern California in 1995, Edward Witten of the Institute for Advanced Study suggested that the five different versions of string theory might be describing the same thing seen from different perspectives. He proposed a unifying theory called "M-theory", in which the "M" is not specifically defined but is generally understood to stand for "membrane". The words "matrix", "master", "mother", "monster", "mystery" and "magic" have also been claimed. So, with the Matrix Conspiracy we have two ruling metaphysical theories in the Western society: materialism (the bias of atheist fundamentalism) and idealism (the New Age bias). The consequences of both are a worship of the ego. In materialism this could be depicted in Richard Dawkins´s notion of The Selfish Gene. In her book The Solitary Self – Darwin and The Selfish Gene, the renowned philosopher Mary Midgley, explores the nature of our moral constitution to challenge the view that reduces human motivation to self-interest. Midgley argues cogently and convincingly that simple, one-sided accounts of human motives, such as the “selfish gene” tendency in recent neo-Darwinian thought, may be illuminating but are always unrealistic. Such neatness, she shows, cannot be imposed on human psychology. Midgley returns to the original writings of Charles Darwin to show how the reductive individualism that is now presented as Darwinism does not derive from Darwin but from a wider, Hobbesian tradition in Enlightenment thinking. She reveals the “selfish gene” hypothesis in evolutionary biology as a cultural accretion that is not seen in nature. Heroic independence, argues Midgley, is not a realistic aim for Homo Sapiens. We are, as Darwin saw, earthly organism framed to interact with one another and with the complex ecosystems of which we are a tiny part. For us, bonds are not just restraints but also lifelines. The Solitary Self is a significant re-reading of Darwin and an important corrective to recent work in evolutionary science, which has wide implications for debates in science, religion, psychology and ethics. My own claim is that Richard Dawkins´s notion of The Selfish Gene (or The Selfish Meme) is a pure fantasy of how the environment is stored in some kind of postulated cultural gene, which has no more scientific or philosophical validity than many of the theories of “the evolution of consciousness” we see in the idealism of New Age. Both are paradoxically enough new kinds of Social Darwinism. And both are involved in the rise of a new kind of fascism (see the Matrix Dictionary entries Richard Dawkins and The Matrix Conspiracy Fascism). In idealism the ego-worship could be depicted as self-assertion (or even self-love): the ultimate narcissism. Both materialism and idealism are included in The Matrix Conspiracy, though idealism is the ruling philosophy. The reason why both is included is that they define each other; they are so to speak complementary to each other, because they mutually exclude each other and at the same necessarily must supplement each other. The reason for this is the polarization-problem. "In what sense, then, would the most advanced SETI aliens not be gods? In what sense would they be superhuman but not supernatural? In a very important sense, which goes to the heart of this book. The crucial difference between gods and god-like extraterrestrials lies not in their properties but in their provenance. Entities that are complex enough to be intelligent are products of an evolutionary process. No matter how god-like they may seem when we encounter them, they didn't start that way. Science-fiction authors ... have even suggested (and I cannot think how to disprove it) that we live in a computer simulation, set up by some vastly superior civilization. But the simulators themselves would have to come from somewhere. The laws of probability forbid all notions of their spontaneously appearing without simpler antecedents. They probably owe their existence to a (perhaps unfamiliar) version of Darwinian evolution ..."
Dawkins, Richard. The God Delusion. Boston: Houghton Mifflin, 2006. 72-73. Print. If such aliens exist, why should they use computer simulation? The very concept of simulation is taken from our own language and refers to something we have knowledge about here on Earth. It is a projection of ourselves. And for the same reason: why should they be subject to evolution? Evolution is also something limited to our own knowledge. Richard Dawkins is obviously trying to attribute these aliens his own limited concepts. There isn´t any reason why we could not attribute them all kinds of other limited concepts coming from ourselves, for example magic and religion. If these aliens are so advanced it would be a mistake to use our own concepts on them at all. "Given these premises - that human consciousness is purely the product of computation; that our computing power will continue to grow; and that our descendants will build simulated worlds - it seems tempting to conclude that simulated people will eventually outnumber all the real people who have ever lived. Statistically, therefore, it is more likely that we are simulated ancestors, living in a simulated world, rather than real ancestors of the real, supercomputing people of the future. "This is, of course, a very strange idea. And here is my own contribution: add to this strangeness the possibility that the supercomputing people of the future will build into their virtual worlds the truth of Mormonism, or some other faith that seems like it could not possibly be true at present. In which case, we may, in fact, be living in a world in which Jesus will return on clouds of glory to judge the living and the dead. Perversely, this could be a self-fulfilling prophecy: given how beguiled people have been by religious mythology throughout our history, our descendants might engineer specific religious doctrines into their virtual worlds just for the hell of it." Harris, Sam. "Should We Be Mormons in the Matrix?" Sam Harris. 20 Apr. 2011. Web. 08 Aug. 2014. It is interesting that Sam Harris all the time are using the concepts of mind and consciousness, in order to explain why mind and consciousness not at all are mind and consciousness, but results of computation. He explains away. He explains consciousness as being something which not at all are consciousness. A reductionism in other word. Why is that he with necessity must use the concept of consciousness, and must discriminate subject and object, in order to talk meaningful? Because that´s what reality dictates him (it is not a simulation), and therefore we must conclude that consciousness is an ontological fact. As all theories of everything the Simulation theory ends in the thought distortion called Endless Split of the Thought. The endless split of the thought implies the polarization-problem. Reality seems to be an Otherness which determines and defines the world – that is: a negation-principle. Any concept, anything, is defined by its negation; that is to say: what it not is. A dream can for example only be defined from what it not is. It is for example not reality. How can you for example assert that life, or reality, is a dream, unless you know what a dream not is? What is the good? This you know if you know what the evil is. This logic is impossible to get around. The endless split of the thought has to do with the contradiction and split that are lying in, that the expulsion of the polar partners, as well as the negation as such, logical seen not is possible. All images imply the negation. But the more extreme you are thinking, the more you expel the negation, the larger are your contradiction and split. You can see the logical problems manifested in a nightmare. When you in a nightmare are forced to confront the negations, but at the same time don't practise realizationwork and ethical practice in your awaken life, the nightmare will be characterized by contradiction and split. It is this doubleness, which creates the terror in the nightmare (see the entry on Doublethink). The paths and the locations in a nightmare can imply two types of terror. The one terror lies in the paths. Each point on a path is determined by the negation of the point, which itself is determined by a third negation etc. The path constitutes in other words a series of points with no end. The points themselves are limited extents. This means, that there never will come a time, where you will get out over the limited points. On the path you become forced from point to point without ever being able to reach the unlimited, this endless, which would bring the path to finish. And yet the path is endless. The second terror lies in the locations. When each location is determined by the negation of it, this means, that it might well be, that the location is divided from its negation, but nonetheless identical with it. This means, that each location is an endless number of locations, an abyss of worlds, countless, swarming, branching off to all sides in labyrinths, yet without that the worlds ever become mixed together. This is the nightmare from where the concept of the Multiverse comes, and to me it seems scary that this theory is praised as something fantastic. It reminds about something thought out by a body dissociated and schizophrenic mind. But it is a result of the top-heavy Indo-European symbolism. Energetically it looks like a reverse cone. You can see these terrors illustrated in the stories by the before-mentioned Argentine author Jorge Luis Borges. You can also see it in M.C. Escher´s works, or in the movies by David Lynch. Nietzsche is letting his ”Zarathustra” preach the teaching of the ”eternal recurrence of the same”. This teaching contains in its poetic language some complicated considerations over the problem of time, over the perception of time and the understanding of life. But in all briefness it says, that any event repeats itself in all eternity – that is: without change and without any kind of increase. History is a circle, and there isn´t anything, which hasn´t been before, and which doesn´t come again. A nightmarish thought because each event then must be an endless number of events, an abyss of events, countless, swarming, branching to all sides in labyrinths, yet without that the events ever become mixed together. The crucifixion of Jesus Christ has happened an endless number of times before, is happening again right now in an endless number of worlds, and will happen again an endless number of times in the future. The weak nihilists break down, when they realize the meaninglessness in the eternal recurrence, while the superhumans on the contrary ”insatiable shouts Da Capo, not only to themselves, but to the whole play and acting”. The problem of the endless split of the thought happens because of a lack of discrimination between the thinking and life itself; that is: the problem of magical thinking. In fact it is the same type of split you can experience, when you are looking up towards the stars and become captured by this wonder over the infinity. How can it just go on and go on? But it is due to magical thinking, the lack of discrimination between the thought and reality itself. Something, which by nature is limitary, namely the thought, seeks to grasp the unlimited. Something, which by nature is expelling, seeks to grasp the all-inclusive. It results in a feeling of endless split, which again results in a lot of logical anomalies, paradoxes and problems. And it is these logical problems which lies underneath the thought distortions, for example Dichotom Thinking and Catastrophe-thinking, and therefore underneath a lot of inappropriate assumptions and rules of living. It is precisely these logical anomalies, paradoxes and problems, which create Samsara´s wheel of eternal repeating up-cycles which is followed by eternal repeating down-cycles and vice versa (for example life and death, success and fiasco, joy and sorrow) – as well as the ignorance and the suffering when you are caught into this wheel, for example in the experience of nightmare and anxiety. All Jorge Luis Borges´ small stories are about these logical and philosophical problems. His stories are filled with mirrors, masks, infinite series and regresses, labyrinths, doppelgängers, time travel theories, other dimensions, parallel universes, solipsisms and dreams. We have already examined the concept of endless series. But you must discriminate between the concept of endless series and the concept of endless regresses. An endless regress is an endless series, but an endless series is not necessarily an endless regress. You can very well operate with endless series without being involved in an endless regress, as for example when you talk about the cause of a road accident, which is enough explanation, though the chain of causes goes endlessly back in time. But if your thought is getting involved in such a chain of causes, then it ends as an endless split of the thought. This happens often in regression therapy, psychoanalysis, or self-analysis, where the discovery of the “cause” of, for example anxiety, doesn´t heal the anxiety, wherefore you are in need of new analysis, new discoveries of causes, and so on, in endless series, that are flowering in all kinds of directions. I have investigated this in my book A Portrait of a Lifeartist in the section about analysis. Anyway, you can use the reference to the endless regress as an argument, when the understanding of a concept or a point of view – or the description of something – presupposes a final reason; that is: that the series of assumptions for the understanding have to end somewhere, but where the concept or the point of view nevertheless implicates, that the series continue endlessly. In ancient India they meant that the Earth was a flat disc. When the children asked how the Earth could keep itself floating in the Universe, then the wise men said, that it was because it was carried by a giant elephant. When the children asked what the elephant was standing on, the answer was: on a giant turtle. And when the children then asked what the turtle was standing on, the wise men answered: now you are asking for more than can be answered. This “explanation” on, how the Earth keeps itself floating, leads into an endless regress. It is no explanation at all, because it ends with a riddle that is as equally great, and which demands as much explanation as the riddle you started with. Theories such as solipsism, Theories of everything and Time travel theories always end up in an Endless Split of the Thought. This refers to the three forms of states the wholeness can be in: sleep, dream, awake. When the wholeness is sleeping, mountains are mountains and woods are woods. This is the reality of the ordinary consciousness (the Ego-consciousness). The ordinary consciousness can sleep in three ways: 1) the dark sleep, which is the Ego´s deep nightly sleep; 2) the grey sleep, which is the Ego´s nightly dreams and other dreams; 3) the light sleep, where the Ego is awake. The three forms of states the wholeness can be in, can also be described as the personal time, the collective time and the universal time. Furthermore it can be described as the personal history, the collective history and the universal history. Time and history constitute the structure under your thinking. This structure is also called the astral plane, or the astral world. It is a plane of existence postulated both by classical (particular neo-Platonic), medieval, oriental and esoteric philosophies and mystery religions. It is the world of the planetary spheres, crossed by the soul in its astral body, either through the dream state, or on the way to being born and after death, and generally said to be populated by angels, demons, spirits or other immaterial beings. The astral plane is connected with the so-called Akashic records. The Akashic records are a compendium of mystical knowledge encoded in a non-physical plane of existence: the astral plane. These records are described as containing all knowledge of human experience and the history of the cosmos. They are holding a record of all events, actions, thoughts and feelings that have ever occurred or will ever occur. The Akasha is an “astral light” containing occult records, which spiritual beings can perceive by their “astral senses” and “astral bodies”. Clairvoyance, spiritual insight, prophecy and many other metaphysical and religious notions are made possible by tapping into the Akashic records. They are metaphorically described as a library. They can be accessed through astral projection, meditation, near-death experience, lucid dreaming, or other means. The Akashic records are the wholeness, and as mentioned: the wholeness can be in three states of spiritual awakening - sleep, dream, awake – which again can be described as the personal, collective and universal time (or history). Parallel universes, and other dimensions, only exist on an astral plane. I therefore accept the theory of Dimension UFOs. But there are also dangers connected with the astral plane such as for example spiritual crises (see my articles Spiritual Crises as the Cause of Paranormal Phenomena and Paranormal Phenomena Seen in Connection with Spiritual Practice). And the problem of consciousness is the same on the astral plane as on the normal plane. I will explain this problem below. The Buddhist philosopher Nagarjuna said, that the Now´s lawfulness around the function of a universal negationpower, is due to, that energy works as streams and dividings within a superior wholeness. And because the wholeness is a reality, each part will always fit into a correspondent part. This means, that each part only can be understood in relation to its negation; that is: what the part not is. Firstly this implies, that each part comes to appear as part of a polarization-pair, or a pair of opposites – like in the teaching of Yin and Yang. In that way Nagarjuna´s philosophy advocates a kind of dualism if we shall use our thinking and language in an unambiguous way. Secondly it implies, that each part only can be understood in relation to everything else; that is: in relation to the wholeness. So the more you, through the Ego´s evaluations, isolate these parts from each other, the more the abandoned parts will work stronger and stronger on their polar partners. Therefore these polar partners, in their extremes, finally will switch over in the opposite extreme. Another aspect of this lawfulness, or another way to describe this lawfulness is: energy returns to its starting point. This is also called compensatory karma, and the lawfulness works as wave movements and pendulum movements. And since everything in this way only work correlative, yes, then Nagarjuna claimed, that we actually can´t say anything about the wholeness, only dualistic about the parts. Therefore he called the wholeness the Emptiness (´sûnyatâ) – a teaching, which had one quite determinate purpose: the neutralization of all the dogmas, theories and viewpoints, which ignorance has created. The concept of emptiness refers to the intuitive experience of reality, that all inner and outer phenomena are devoid of independent existence and form of being. What they can be said to be, they can only be said to be in relation to something else, a complementary thing and vice versa. In that way they are nothing by virtue of themselves, and therefore nothing by virtue of something else either, etc. They are insubstantial, or as Nagarjuna calls it: codependent originated (everything that exists does so dependently on other things) (pratityasamutpanna). In absolute sense nothing exists independently, eternally or unchangeable. All existence is impermanent; everything that exists is transitory, lasting only a moment. But this doesn´t mean, that Nagarjuna is an advocate of the absolute non-existence of things. Non-existence means namely neither negation nor opposition to existence. Therefore also non-existence is, as everything else, correlative. Codependent origination is what Nagarjuna calls emptiness. The creation of things, images and concepts ends in the emptiness. And by trying to reveal the unreality of the relative, conventional world, you can reach the absolute reality, which is lying in this emptiness. The emptiness is in that way the inexpressible (Nirvana). Because Nirvana is lying in the revelation of the unreality (Samsara), then Nirvana and Samsara is not at all different. Nagarjuna´s teaching is in that way a kind of Dream Yoga. What Nagarjuna´s teaching also tells us is that if we should use thoughts and language in an unambiguous way, it is necessary to advocate a kind of epistemological, or gnoseological dualism. In this dualism critical thinking is essential. So if we should describe a human being in an unambiguous way, then Nagarjuna´s argumentation leads to the thought, that human beings have two complementary aspects: an energy aspect and a consciousness aspect. Seen from the energy aspect lawfulness rules: your body is subject to the physical laws of nature, your psychic system is subject to the lawfulness of the energy fields and of the energy transformations. The energy aspect is the area of compensatory karma; it is the area of experiences, the area of the personal and collective images of time, which work in sequences in past and future, and therefore in absence of awareness, or absence of consciousness. And that also means that it in itself is without realization. The problem with time travel is then of course, that it is only in the energy aspect of humans you can talk about time travel (or the simulation theory). The same problem is happening when you on the astral plane try to go back or forth in time, you would then lose more and more consciousness. I will return to this problem below. Seen from the consciousness aspect, then a human being seems to be akin to the wholeness, to be transcendent in relation to these lawfulnesses. The consciousness is the area of progressive karma, spiritual development, or spiritual growth; it is the area of realization, the area of the universal images of time, which work in synchronism with the Now. The Now seems to be a quality of awareness, and therefore also of consciousness and wholeness. Realization has to do with the three states the wholeness can be in: sleep, dream, awake. So it is only here you can talk about the spiritual insights of the great mystics. It is only here you can talk about genuine mystical experiences; that is: experiences, which are followed by realization. It is only here you can talk about spiritual growth (also see my article What is Karma?). In time travel theories and in the simulation theory everything is reduced to the energy aspect, though. It is no coincidence when I say, that the thought about time travel is as old as the human thought, and that this has been shown in fiction, or, if in science, only as a theory. My main arguments against the possibility of time travel is namely that all the different theories of time travel (as well as the simulation theory) confuse thought with reality; that their arguments are based on magical thinking, even if they are materialists. The theory of time travel and the simulation theory are often supported by materialists (physicists), but they are ending up in subjectivism. The past and the future, which theories of time travel are talking about, are the past and the future of the thought; that is: psychological time, not physical time. Or, said in another way: they are talking about subjective time, not objective time. So, when you are talking about traveling back to the past, you are talking about traveling back into the imageworld of what has been. And when you are talking about traveling into the future, you are talking about traveling into the imageworld of what could be. Said shortly: when you are talking about traveling in time, you are talking about traveling back or forth in the images of time, whether it is the personal or the collective images of time. You are not talking about traveling in reality. When talking about time traveling in reality you are confusing the thought (images) with reality. If you should time travel in reality, this would mean, that you should bring reality with you, either back in time, or forwards in time. And with reality we are talking about the wholeness, everything. And with reality and wholeness I also mean the now and therefore consciousness. You would also have to bring the now, and the consciousness, either back in time, or forwards in time. And what becomes of the reality and the now you have left? And all the other people and their consciousnesses? And the whole of the universe? All this would now either be the future or the past. That would mean that time travel had to change everything in the wholeness, which then again mean, you had to change everything in an infinitely number of times. In that way a time travel theory would have to explain how everything had to be changed infinitely. A time travel theory had to involve a theory of everything, and a theory of everything is not possible as Niels Bohr claims. Because the explanation would never end. This is precisely the same problem with the simulation theory. A simulation would have to change everything in the wholeness, which again means that it would have to change everything in an infinitely number of times. In that way the simulation theory would have to explain how everything could be changed infinitely. This explanation would neither come to any end. And the attempt of simulation would never end. And therefore it is not possible. If you traveled back and forth in time, then the consciousness of course should follow you, and therefore reality, and therefore the now, and therefore the wholeness, and therefore infinity. That would mean that the now you had left would have to change into, either the future or the past. Everything you had left therefore had be destroyed an endless number of times and when you arrive in either the past or the future everything should be created in an endless number of times. And that´s not possible. It would never end. And if you should meet yourself, either as young (in the past) or old (in the future), who has the consciousness? Who is experiencing reality? You can´t talk about consciousness in the energy aspect of Man. You can´t talk about consciousness (and therefore the now/reality/wholeness) in the same area as time travel. Nor can you in relation with M-theory or simulation theory. You end in an endless split of the thought. The unbelievable size of the observable universe alone could indicate that it must be an illusion or simulation. It appears Stephen Hawking, Elon Musk, Neil DeGgasse Tyson, San Harris and Richard Dawkins think so as well; that is: they think so. They have not used other sources of knowledge than their heads.